Why did you start The Change School? 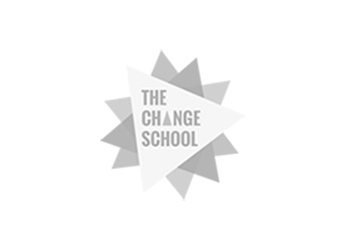 The Change School was born from our personal experience of going through change and transition as a result of very different trigger events in our personal/professional lives. For Grace, she was running her own business Agent Grace when after a long term illness her father passed away in 2011. From this significant loss in her life, Grace started to question what she wanted in life, who she was and if what she was doing was her true calling or fulfilling her enough. The answer was immediately there infront of her, but after being burnout, having a breakdown (or a couple of breakdowns) she finally had a breakthrough and started to take small steps to creating the world she wanted to be involved in and to create. This included building new communities for women entrepreneurs, creatives and social entrepreneurs but it also involved what would become The Change School. During this entire time Grace spent a lot of time reflecting and trying to understand the barriers and the process one goes through when in a period of change, especially with regards to managing and dealing with grief and burnout. Through her own time away from the noise she realised what was needed and the rest was just the beginning. Meanwhile, Solonia was at a pivotal point of her career transition. What started as her 'dream' job at a corporate PR agency had become a source of stress and anxiety - signs of a looming career burnout that was starting to impact her personally - at an otherwise exciting phase of getting engaged and wedding planning! Following a major meltdown at work, she finally decided to resign from her role despite not having her next step fully decided or planned. Having dreamt of setting up her own business, Solonia focused on building up a portfolio of client work through freelance projects before setting up her boutique advisory SolWorks Pte Ltd and a suite of services aimed at supporting impact-driven SMEs and corporate initiatives in strategic communications, marketing and PR. It marked the early stages of Solonia's transition from the corporate world into entrepreneurship, but it soon became clear that the 'solopreneur' journey was not exactly what she had envisioned. Unsure of her options and next steps, she found herself at a career crossroads once again. Double-guessing her prior decision to leave the corporate world and fearful of giving up the business and client work she had invested time and energy into, she was stuck. 1. Major life events are the most common trigger of change because it makes us question our identity and life purpose and forces us to re-prioritise. 2. To embrace change, we needed space to REFLECT and cultivate the right MINDSET. To navigate through uncertainty, we needed to EXPERIENCE and LEARN things that would help keep us grounded in who we. To move forward, we had to ACT with a supportive COMMUNITY. 3. Change is constant. We can’t always prepare for it, but we can equip ourselves with the right attitude, mindset, tools and support to keep moving forward. At the time, it seemed there were only 2 available options to them: Get an MBA or go on a Yoga Retreat - two seemingly opposite trajectories for helping to figure out their next steps. Realising they were seeking something more holistic, Grace and Solonia decided to run a pilot retreat in 2014 - a 30-day immersive and experiential learning experience that incorporated the best of both worlds. Drawing from their personal experience of struggling with major Life and Work changes, the pilot retreat represented a starting point for TAKING ACTION. Today, that pilot has evolved to become The Change School's signature retreat experience hosted once a year in Bali - Reinvention Retreat. In addition, the school now offers bite-size learning workshops at The Change School GYM (Gym for Your Mind) in Singapore, Team Programs for corporates and businesses in Southeast-Asia, and a suite of on- and off-line tools and experiences for enabling professionals and entrepreneurs to design their Life and Work more meaningfully. The WHY behind The Change School didn’t become clear overnight. It emerged from the co-founders' 3-step process of DECONSTRUCTING our own experiences, RECONSTRUCTING a vision for the future, and MOVING FORWARD by deciding to act. TIP 1 – Why do you do what you do? Think about your Life/Work ROLE (parent/teacher/professional) - Why is it important? What do you need (to feel / be / have) in order to thrive in your role? and the most common challenge/struggle you face. > Our own experiences led us to question what was most important to us – as professionals / business owners / daughters / future spouses etc. It prompted us to reflect on our PURPOSE. TIP 2 – What are the challenges / problems you see or experience in your role(s)? What’s missing? Where are the gaps? If you could wave a magic wand to have a ‘solution’ what would that look like? > We needed something holistic. We needed connection (to ourselves and community), immersion (in a new experience or surrounding that fostered our creativity and intuition), and growth (the opportunity to unlearn/question things, learn/discover things, relearn/ do something different). We began to clarify our VALUES. TIP 3 – Imagine a world where your problem ceased to exist? One where everyone was able to overcome the challenge/problem you’ve identified. What would that world look like? > We envision a world where people have clarity of who they are, what they believe in, and why they do what they do. We see change as the only constant in life and that, with the right tools and experiences, change can be a force for good. Our VISION reveals our MISSION. Visit our homepage to see our CHANGE CYCLE - - an illustration of who we aim to help and why. Download our FREE worksheet to help you reflect, work through key questions and uncover your why. Watch Simon Sinek’s TED Talk on the importance of starting with why to inspire action and become a great leader. So, WHY do we do what we do? Because we believe that with the right tools and experiences, people can learn to embrace change, navigate through it with confidence and clarity, and thrive in times of transition and uncertainty. One of the most difficult transitions we're seeing right now is CAREER CHANGE. That's why our soon-to-be-launched online course is designed for anyone who is in a career transition or feeling stuck at a career crossroads. If this is you, be sure to register your early interest on our sign up sheet and learn How To Confidently Create Your Bold Career Move in just 5 weeks!